Caffeine is a naturally occurring substance that is found in 60 plants, including coffee beans, tea leaves and cacao pods, which are used to make chocolate. The U.S. Food and Drug Administration classifies caffeine as a food additive and drug. Concerta is the commercial name for methylphenidate. It is one of several medications on the market used to treat people with attention deficit disorder, or ADD, or attention deficit hyperactivity disorder, or ADHD. Commercial manufacturers use caffeine for a variety of reasons. Some pharmaceutical companies incorporate caffeine into pain medications because of the pain-relieving effects it has on migraine headaches. Caffeine causes vasoconstriction, or the temporary narrowing of blood vessels, in the brain, which reduces pressure and pain. 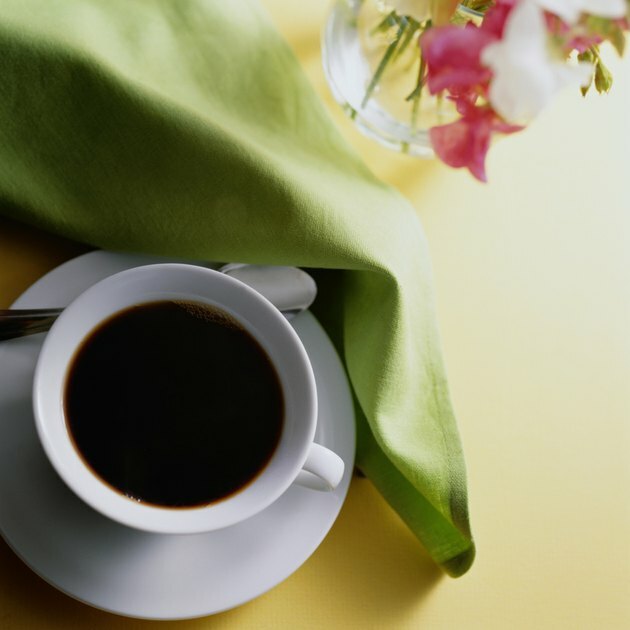 Caffeine has also been shown to help reduce cognitive decline. In August 2007, “Neurology” published results of a study that investigated the effects of caffeine consumption on older adults and their cognitive function. Results indicated that women age 65 or older who drank three cups of coffee daily and had no clinical dementia diagnosis had a slower rate of cognitive decline when compared to women who drank one cup of coffee or less. If you consume caffeine, you may experience various side effects. Caffeine prevents adenosine from binding with their receptors, causing increased alertness and a stronger feeling of wakefulness. Because it is a stimulant, you may feel energized, which is why caffeine is used in some weight loss aids. You may also feel restless, irritable, jittery, feverish as your body temperature increases and an increased urination frequency. Your heart rate may increase, and your blood pressure may elevate. Concerta is a central nervous system stimulant used to help control the symptoms of ADD and ADHD. The most common symptoms include inattention, impulsive behavior and hyperactivity. According to Drugs.com, Concerta should be used in patients between 6 and 65 years old. Original dosages included 18 mg, 27 mg, 36 mg and 54 mg tablets. In October 2004, the FDA approved an increased dosage of 72 mg, which is prescribed in the form of two 36 mg tablets taken once daily in the morning. Drugs.com reports that Concerta employs an extended-release system so that patients may avoid the blood plasma concentration changes that occur with medications taken twice or more daily. Concerta’s side effects resemble those of caffeine. Patients taking Concerta may experience increased heart rate, lightheadedness, restlessness, muscle twitches, high blood pressure and weight loss. Because both of these drugs are central nervous system stimulants, when taken together it may be difficult to determine which substance is causing the side effects. Common side effects of both, such as increased heart rate and elevated blood pressure, may be worsened when taking the drugs together. Speak with your doctor to determine if caffeine consumption while taking Concerta is safe for you.